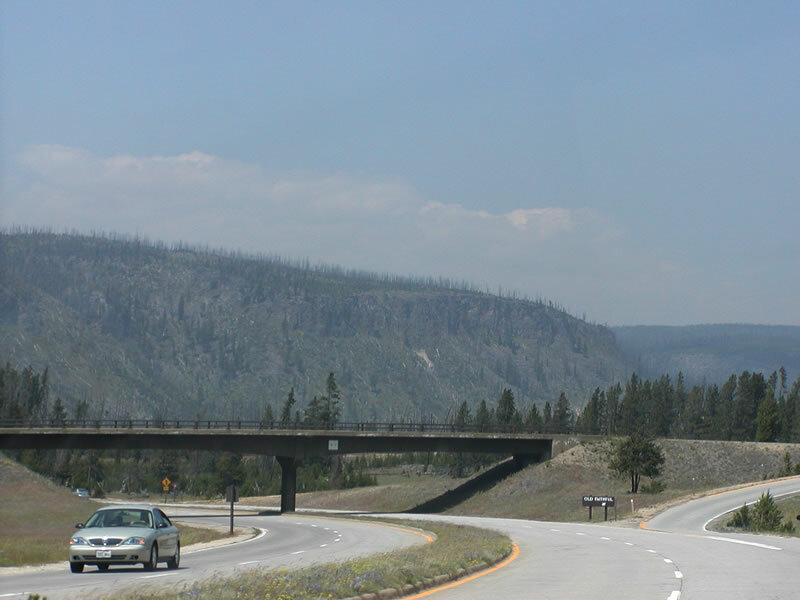 U.S. 89 runs from Interstate 40 in Flagstaff, Arizona, north to the International Boundary just east of Glacier National Park, Montana. Former U.S. 89 south of Flagstaff has been decommissioned. U.S. 89 follows State Control Route 10 for its entire route through western Wyoming. There are none, although there was a U.S. 89T (temporary routing) around 1938 that followed modern U.S. 189 while the routing of U.S. 89 was being finalized (see details in the History section, below). In 1926, U.S. 89 was not commissioned in Wyoming. 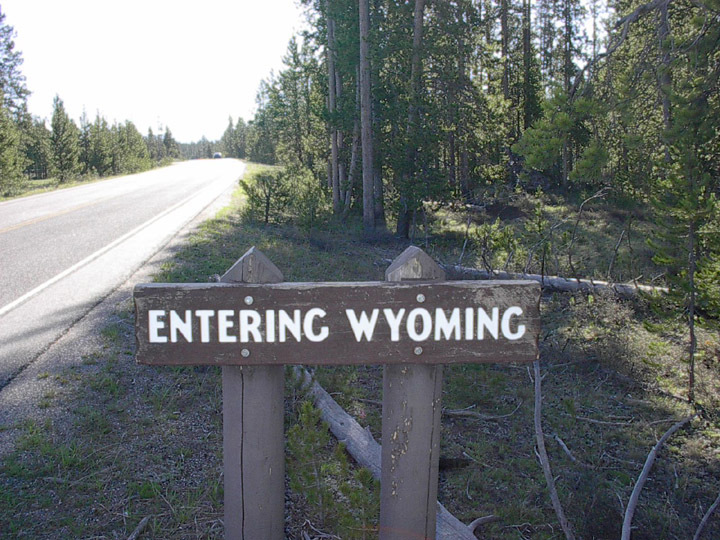 Between 1926 and 1936, what is now Wyoming 89 was known as Wyoming 65. So between 1926 and 1936, U.S. 89 ended in Utah. That changed with the Great Recommissioning of 1936 -- U.S. 89 became a major route, from the Mexican border at Nogales, Arizona, north to the Canadian border near Glacier National Park, Montana. 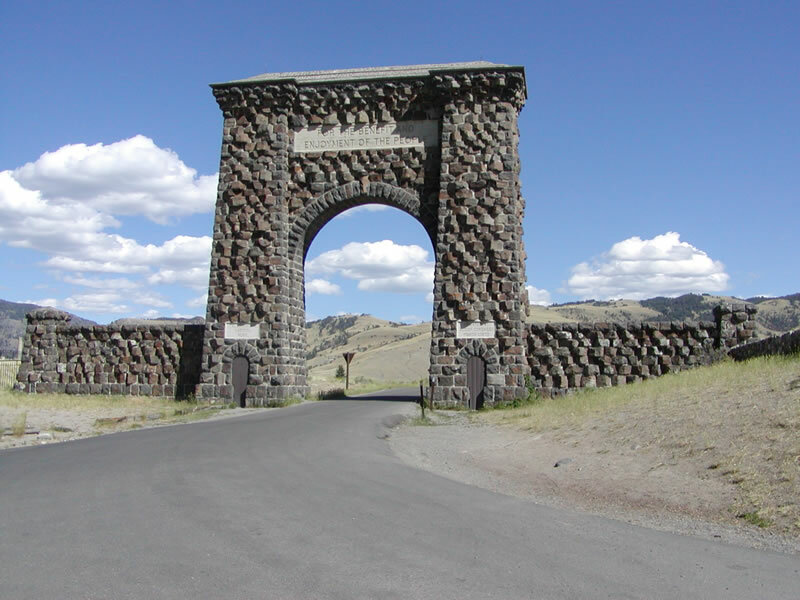 In 1936, AASHTO recommended changing what was then known as the U.S. 87W branch between Moran Junction and Great Falls, Montana, into U.S. 89. However, there was some controversy as to how this new section of U.S. 89 would link to the already existing section of U.S. 89 in central Utah. So the highway planners had to determine exactly what route U.S. 89 would follow between central Utah and Moran Junction. That same year (1936), Wyoming 287 (now U.S. 189) was recommissioned as U.S. 89. U.S. 89 was merged with U.S. 30S through Evanston and Piedmont, then turned north to serve Kemmerer, La Barge, and Big Piney. 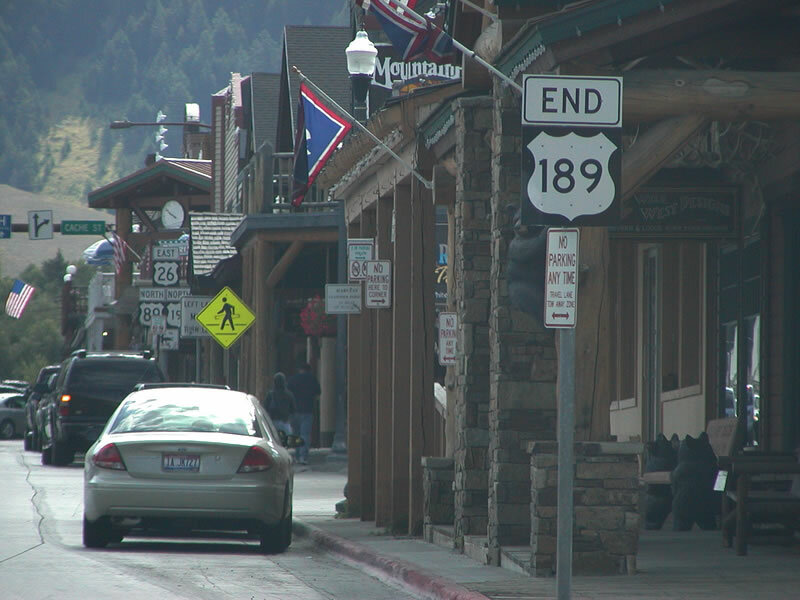 U.S. 89 merged with U.S. 187 in Daniel Junction, then U.S. 89-187 continued north to Hoback Junction and Jackson. What is now Wyoming 89 became known as Wyoming 91 through the modern route of U.S. 89 Star Valley, perhaps to reflect that road's importance in the state highway grid (91 is the next odd number up the scale from 89). This designation of U.S. 89 over Wyoming 287 was not to last, however. Three years later, in 1939, U.S. 89 was recommissioned to run through Salt Lake City, Ogden, Logan, Bear Lake, and Montpelier. It would now enter Wyoming through Star Valley. The old U.S. 89 routing became the new U.S. 189. 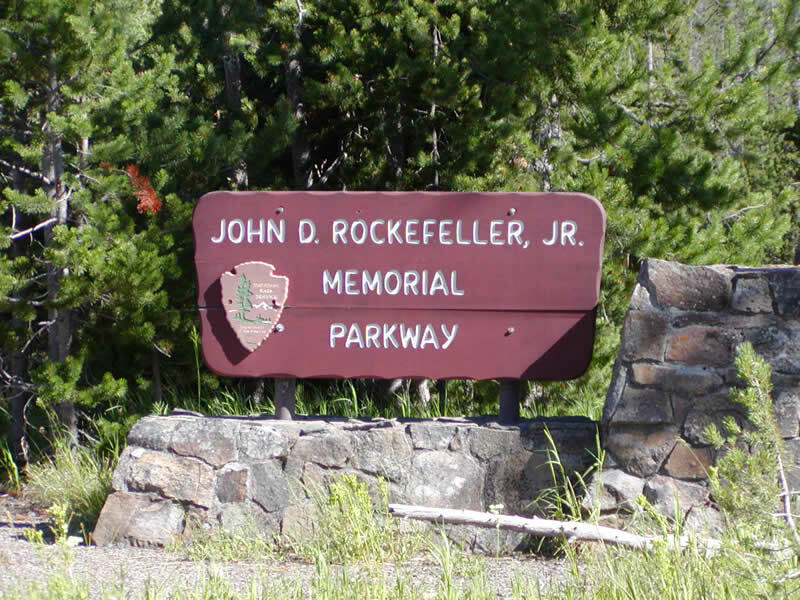 At about the same time, Wyoming 89 was commissioned in place of Wyoming 91; it is likely that this renumbering is due to Wyoming being upset at losing most of U.S. 89 to Utah and Idaho. 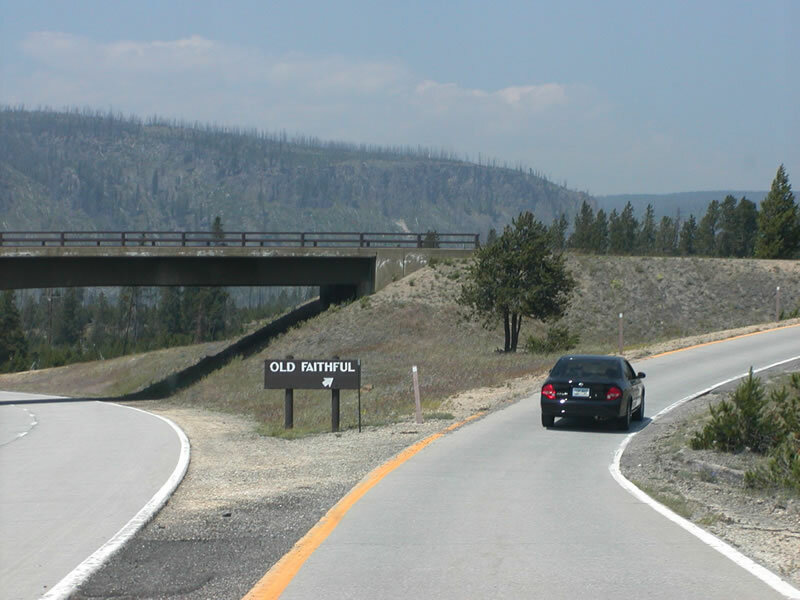 This created two highways numbered 89: U.S. 89 through Utah, Idaho, and Wyoming, and Wyo. 89 along the western border of Wyoming. This has resulted in some motorist confusion between the two routes, especially since they more or less converge near Star Valley. U.S. 89 has kept its current routing since 1939 in Wyoming. A section of U.S. 89 in Arizona, between Nogales and Flagstaff via Tucson, Phoenix, Wickenburg, and Ash Fork, was decommissioned in 1995. AASHTO and Arizona Highway Department officials felt that U.S. 89 was no longer as important for regional travel, because Interstate 17 and U.S. 93 provides the primary route for long-distance travelers. Arizona 89, 89A, 77, and 79 are still important locally, but are no longer linked under the U.S. 89 banner. 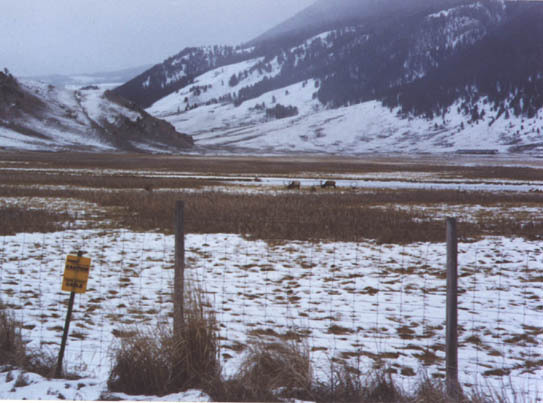 U.S. 89 enters the state of Wyoming at the southern end of Star Valley near Geneva, Idaho. The tiny communities of Afton, Grover, Thayne, and others are silhouetted by the mountains to the east, giving the area a Swiss feel. Meeting U.S. 26 at Alpine, U.S. 89 follows the Snake River toward Hoback Junction. In the 1960s, the road was moved from one side of the river to the other to allow for expansion. 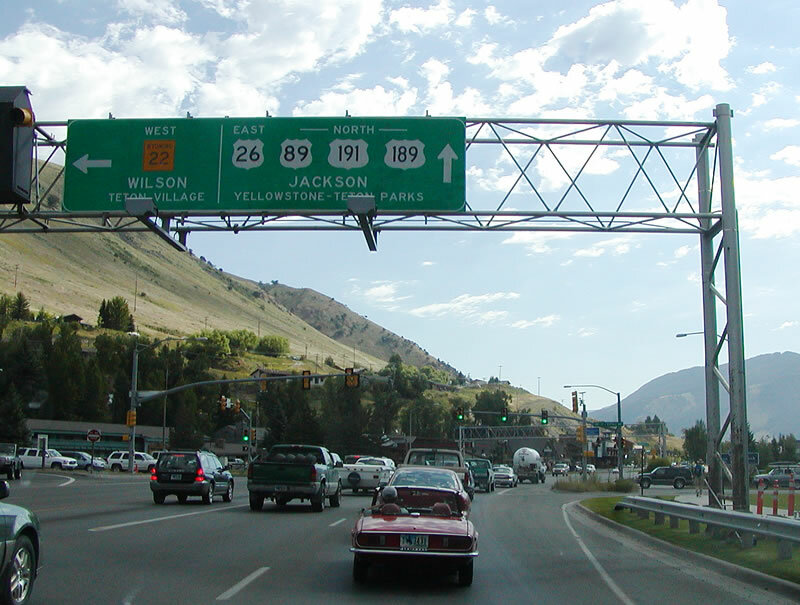 U.S. 26-89 meet U.S .189-191 at Hoback Junction, and the four routes continue north toward Jackson together. 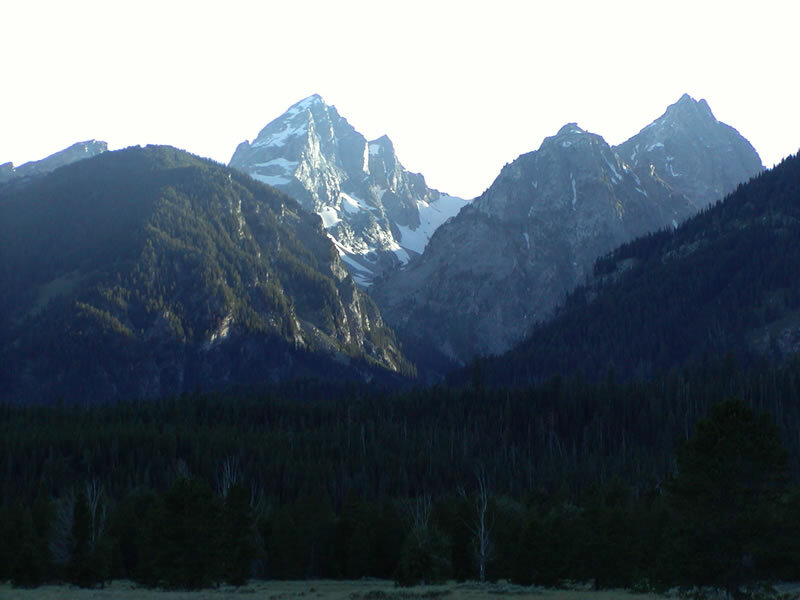 Much of the guide for U.S. 89 in the Jackson - Grand Teton area is covered under the U.S. 191 listing. 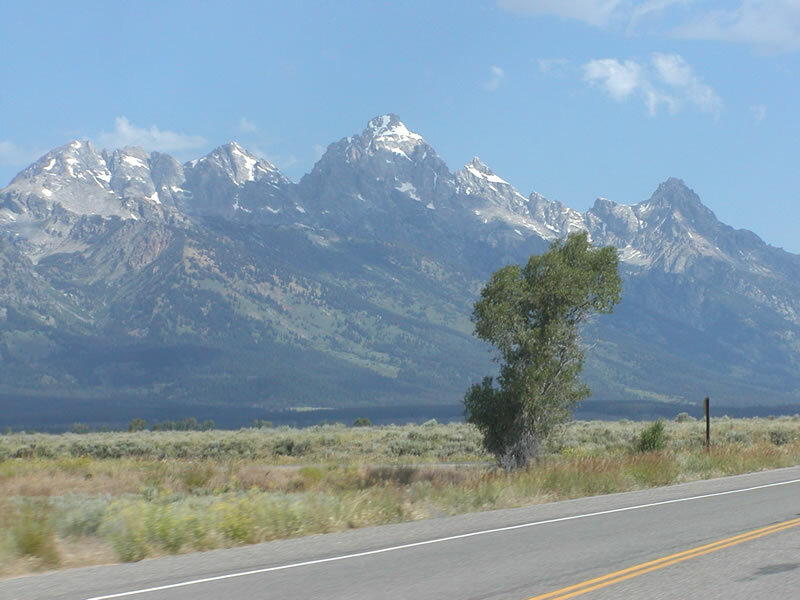 The Grand Tetons rise to the west of U.S. 26, U.S. 89, and U.S. 191 as the three routes travel north toward Moran Junction. Photos taken by Casey Cooper, 07/09/05. 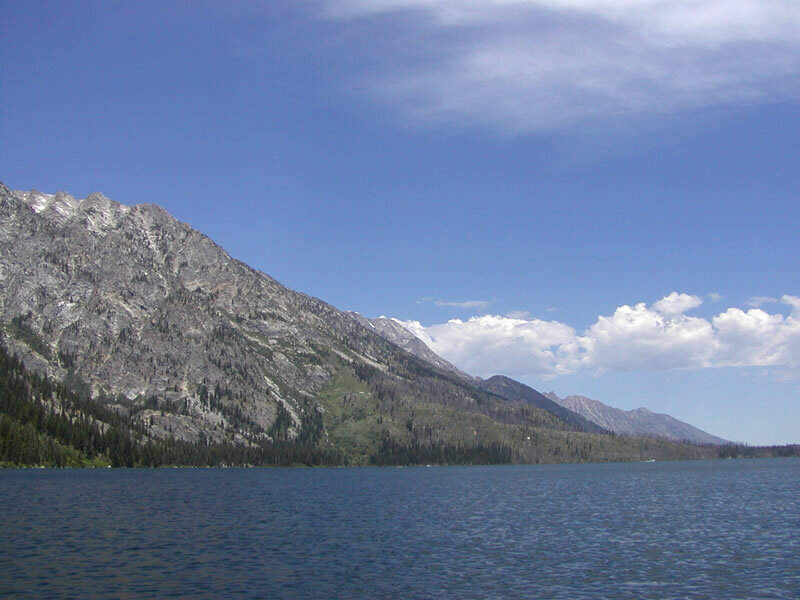 Jenny Lake, along with Jackson Lake and Leigh Lake, are among the largest lakes in Grand Teton National Park. 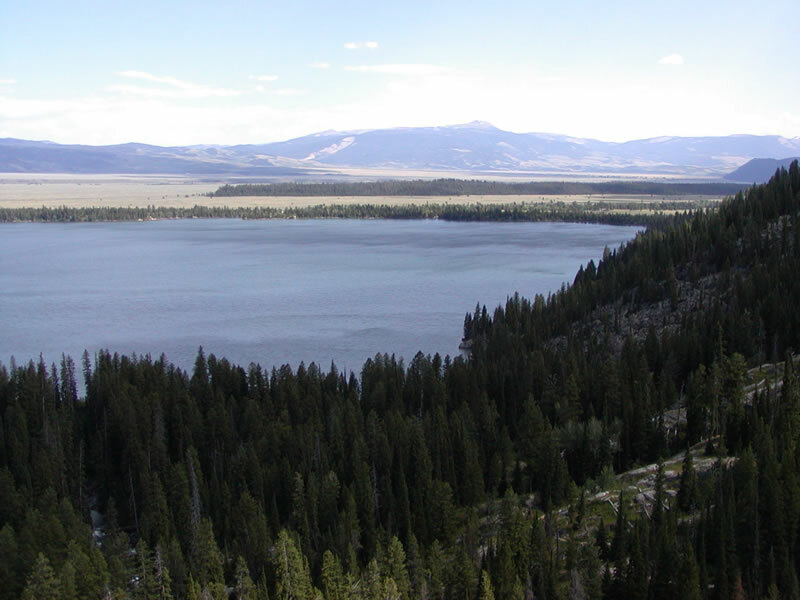 Located west of the main U.S. 26-89-191, a fee is required to access Jenny Lake and hike around its trail system. 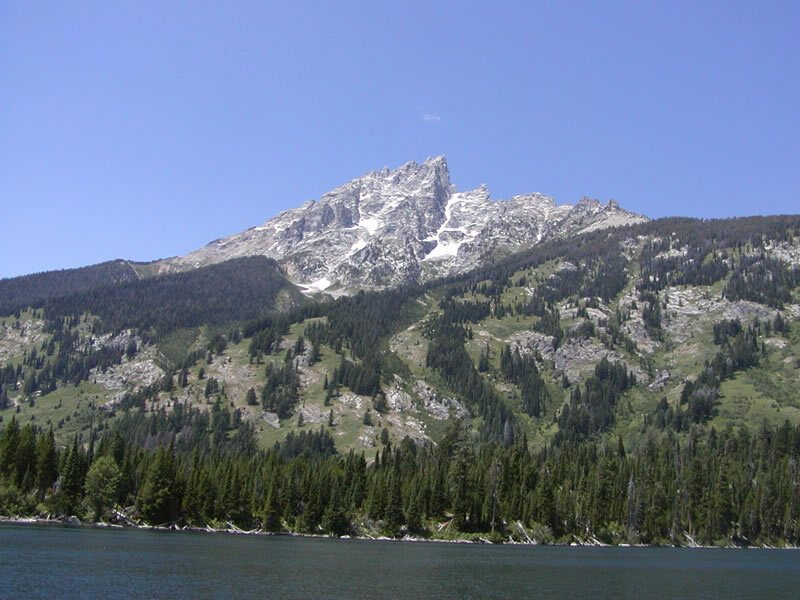 These views are afforded from a boat on Jenny Lake. Photos taken by Casey Cooper, 07/09/05. 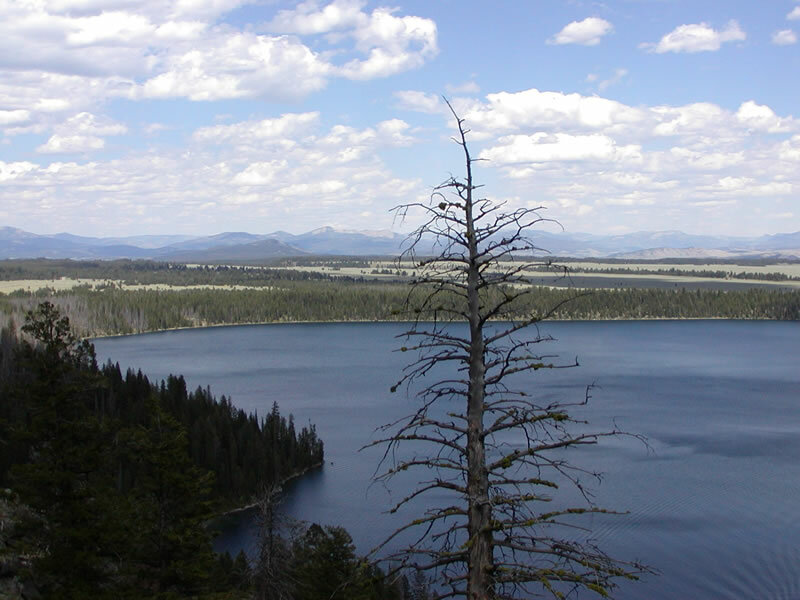 These pictures show Jackson Hole as seen from the hiking trails above Jenny Lake, Leigh Lake, and Jackson Lake. 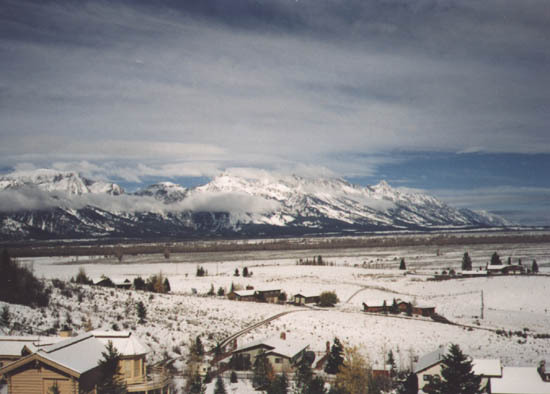 The first picture looks north toward Moran Junction; the second looks south toward Sleeping Indian (mountain), the city of Jackson, and Jackson Hole. Photos taken by Casey Cooper, 07/09/05. 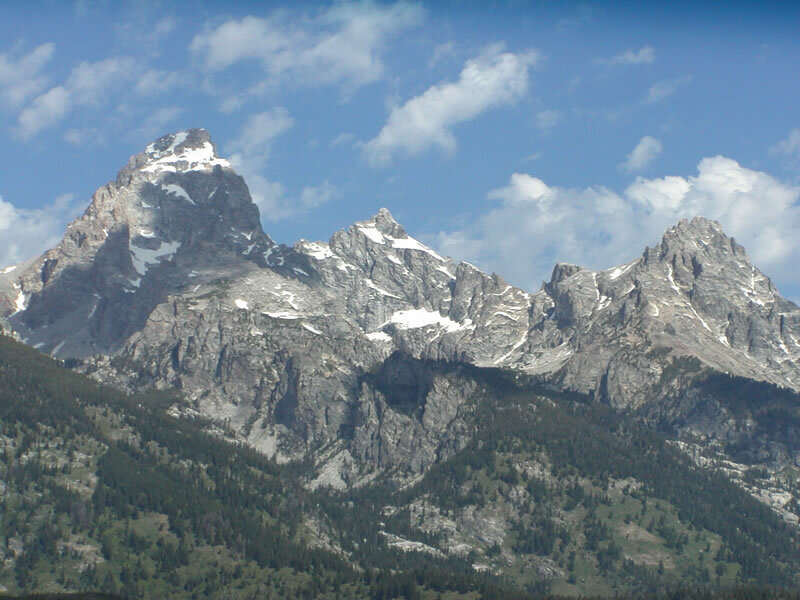 Wildlife predators may be found throughout the national park system in Northwestern Wyoming. Here, a black bear forages for food along the Snake River near Moran Junction. Photo taken by Casey Cooper, 07/09/05. 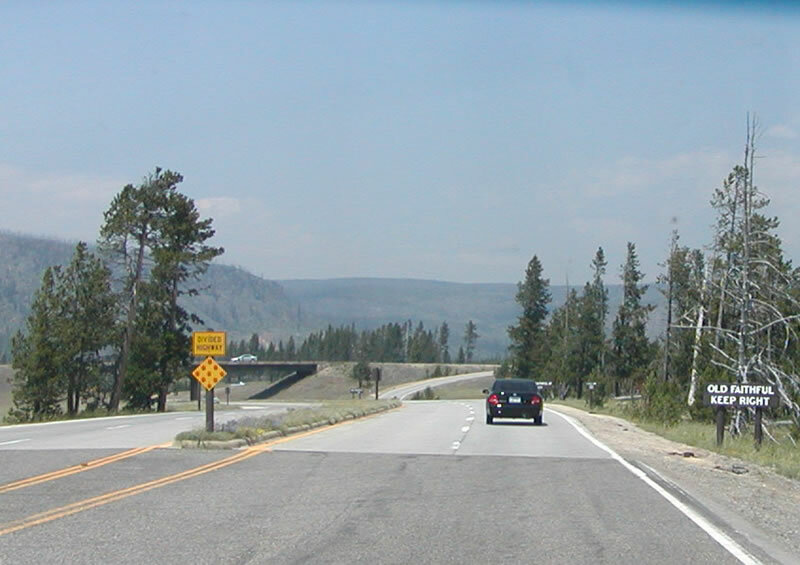 Northbound U.S. 89 at the 45th Parallel, which marks the state line between Wyoming and Montana. 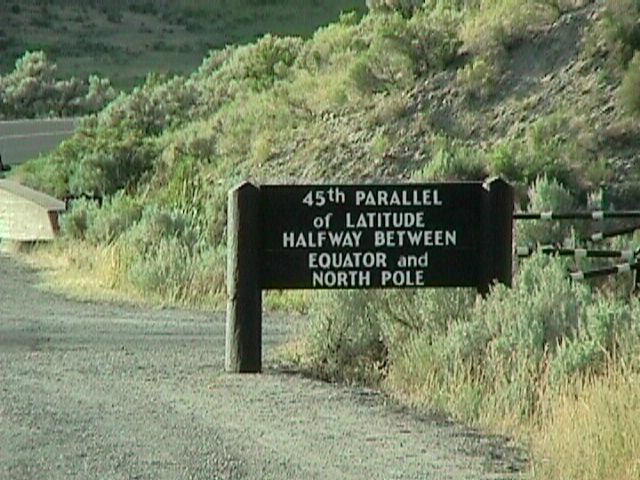 This is technically within Yellowstone National Park, so the highway at the 45th Parallel is not truly U.S. 89 because U.S 89 has a disconnect between the southern and northern entrances to the national park. Photo taken by Jim Teresco, 7/26/99. 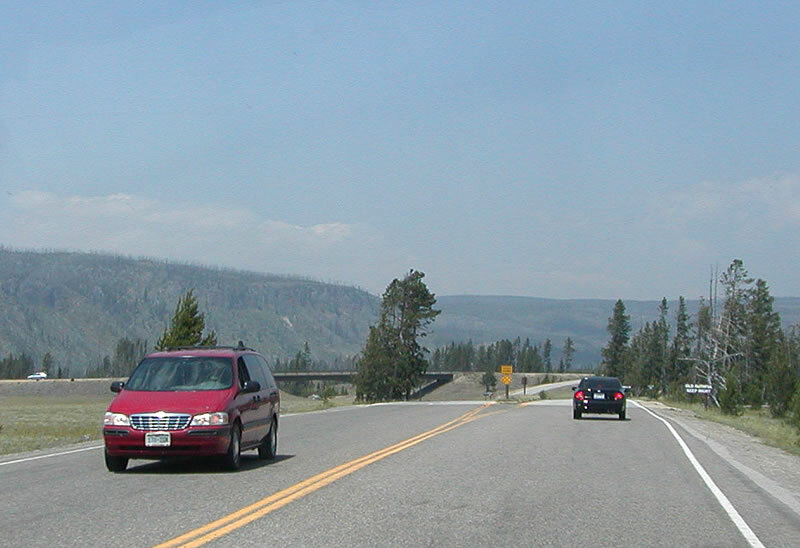 Southbound U.S. 89 entering Wyoming at the 45th Parallel in Yellowstone National Park. Photo taken by Jim Teresco, 7/26/99. 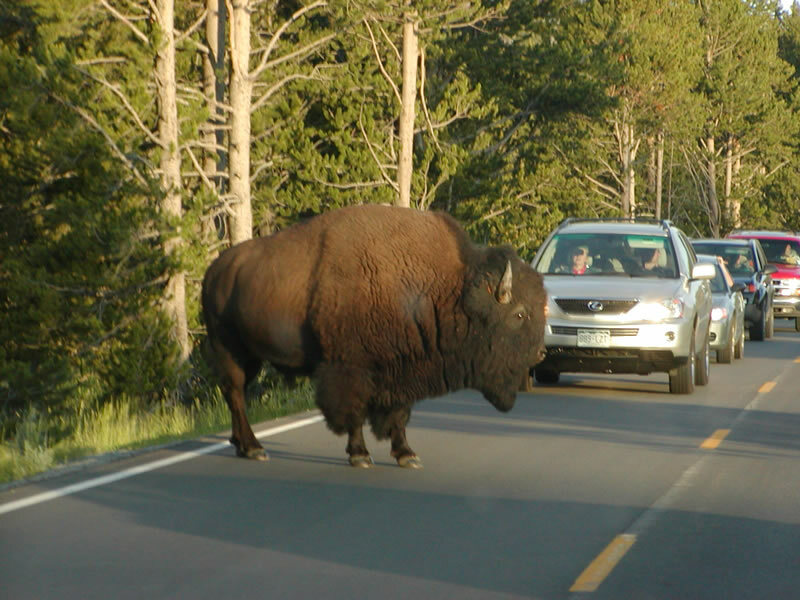 Commonly, bison (and other animals) cross the road and stop traffic within Yellowstone National Park. Photo taken by Casey Cooper, 07/16/05. 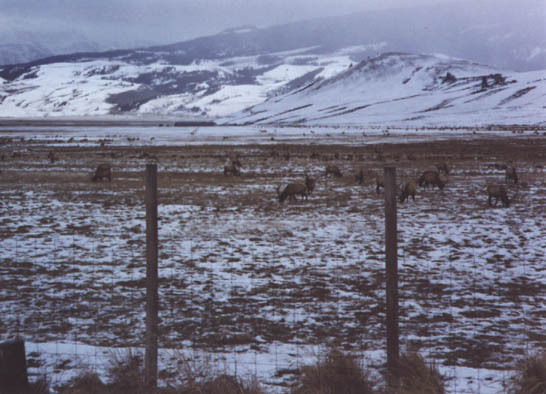 Views of the Elk National Wildlife Refuge north of Jackson near U.S. 26-89-191. Photos taken 1994. 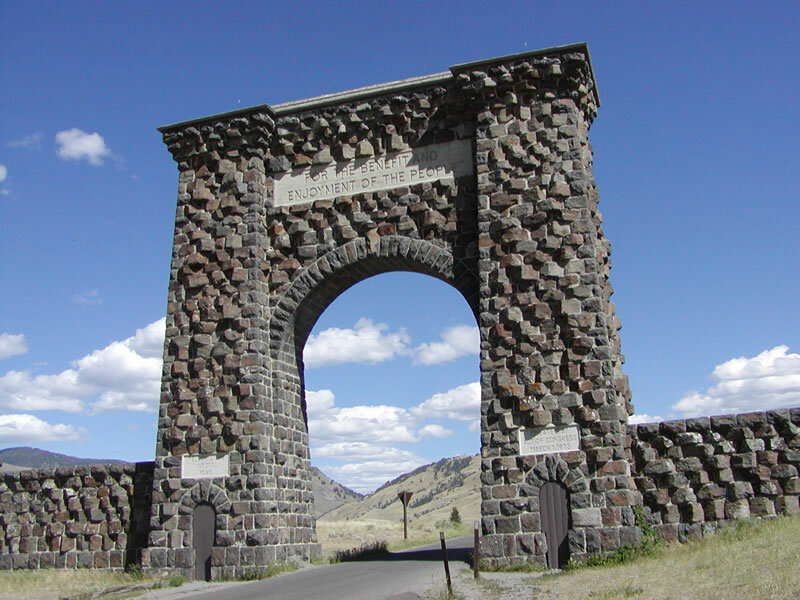 Built in the spring of 1903, the Roosevelt Arch was constructed to provide a dramatic northern entrance into Yellowstone National Park in Gardiner, Montana. This arch still stands today, with the motto "For the Benefit and Enjoyment of the People" inscribed in it. 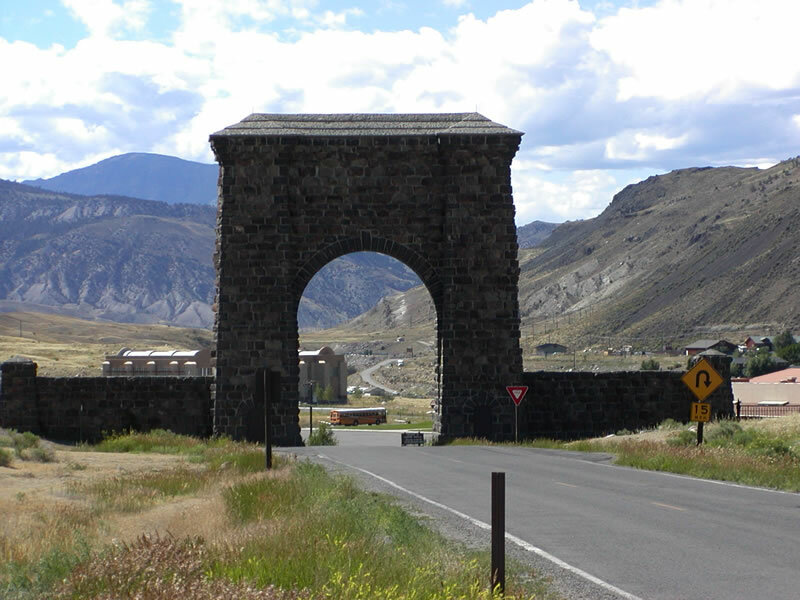 U.S. 89 no longer passes under the arch, since the archway is too narrow to accommodate two-way traffic. 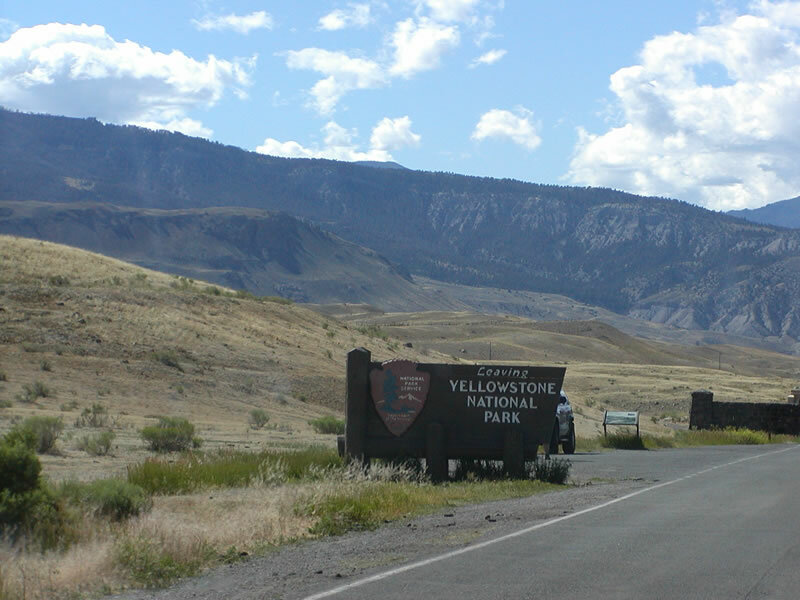 This is the view looking south, toward the entrance into Yellowstone. Photos taken by Casey Cooper, 07/17/05. 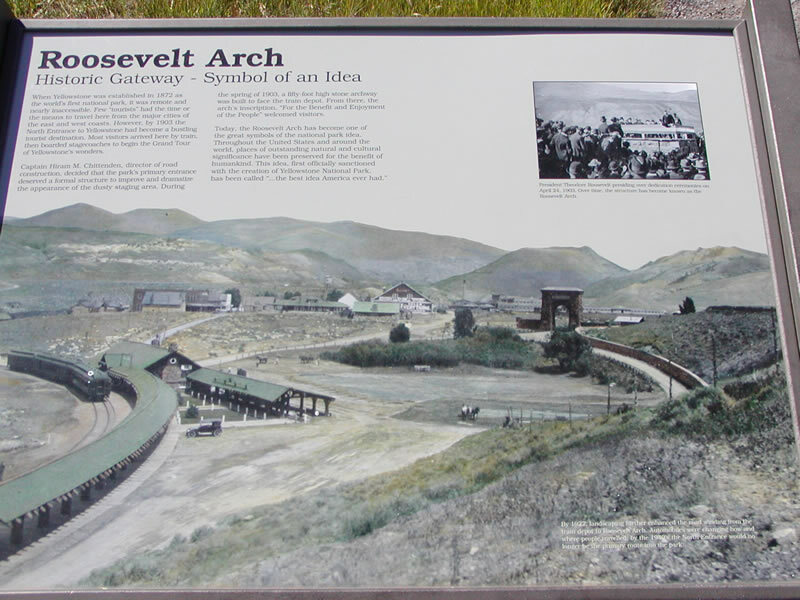 This historical marker explains the history of the Roosevelt Arch and what it came to mean for those coming to visit America's first national park. Note the use of rail to transport travelers to the park, as compared to the use of the automobile today. Photo taken by Casey Cooper, 07/17/05. These two pictures show the arch looking north, toward Montana. Photos taken by Casey Cooper, 07/17/05.